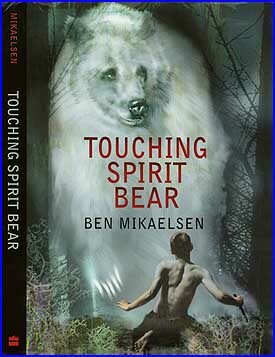 Welcome to the Touching Spirit Bear LibGuide! Cole Matthews is a violent teen offender convicted of viciously beating a classmate, Peter, causing neurological and psychological problems. Cole elects to participate in Circle Justice, an alternative sentencing program based on traditional Native American practices that results in his being banished to a remote Alaskan Island where he is left to survive for a year. Cynical and street smart, he expects to fake his way through the preliminaries, escape by swimming off the island, and beat the system, again. But his encounter with the Spirit Bear of the title leaves him desperately wounded and gives him six months of hospitalization to reconsider his options.